Oda Nobunaga (織田信長) is the most famous Daimyo in Sengoku Period. He is considered as one of three legendary Heros of Sengoku Period. He was born in 1534 and died in 1582 at Honnoji. He changed all traditions, customs and common knowledge at that time to create strong government and economy in Japan. His revolution began at Owari which was very small country to all central Japan including Kyoto and Osaka. " 天下布武," which probably means unify Japan with the power of samurai, or put Japan under control of samurai, was his pronoun. His way of battles, which appeared in the battle of Okehazama and Nagashino, were always realistic and filled with originality which no one else ever thought of. He was not only great general, but also as governor, he was the first Daimyo to focus economy and market. He separate farmers and samurai, made tax-free market and warehouse system. With this strong economical back ground, he raised strong military forces. He also accepted western cultures, such as arts, food and architectures, especially guns. 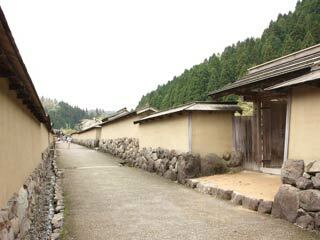 He built Azuchi castle which was the first Castle with Tenshu-kaku and the castle nor for the battle but for the symbol of the power. He was killed at Honnoji in 1582. Just like his favorite song "Atsumori," he died in the age of 49. His vision was succeeded by Toyotomi Hideyoshi, and he unified Japan. Then, the last hero Tokugawa Ieyasu complete Nobunaga's vision and created over 260 years of peace in Japan. The appearance of Nobunaga was the beginning of the ending of Sengoku Period.